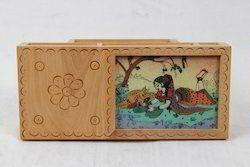 Manufacturer of a wide range of products which include pine wood gem stone pen holder, pine wood gem stone multi utility pen holder, teak wood gem stone square pen holder, pine wood gem stone square pen holder, fiber round pen holder and pine wood gem stone multiple pen holder. 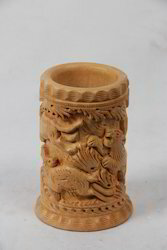 With an exceptional talent of our skilled team, we offer a collection of uniquely designed Pine Wood Gem Stone Multi Utility Pen Holder. In order to ensure perfect finish and elegant design, our dexterous experts carefully craft supreme quality wood using sharp tools and modern machinery at our production facility. 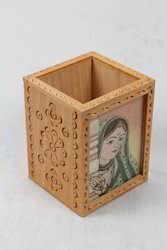 We are a client centric company and in order to cater to the different demand of our patrons, these boxes are offered in interesting patterns, various designs and dimensions at most affordable prices. 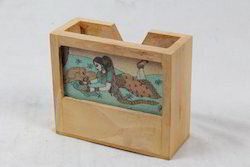 Being a client based firm, we offer a wide array of Teak Wood Gem Stone Square Pen Holder. 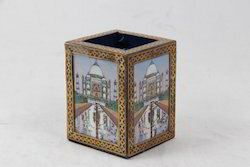 The offered products are widely demanded by the clients for their beautiful designs and appearance. These products are available in various sizes and square shapes and suitable to keep pens. Our products are available in various sizes and designs that can be purchased by the clients as per clients requirements. 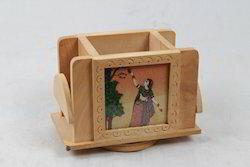 We bring forth our esteemed clients by providing the supreme quality Pine Wood Gem Stone Square Pen Holder which are manufactured from high quality raw materials. The products offered by us are appreciated for the durability, classy design and tantalizing looks. Our products are available in variety of patterns and are designed as per the specification provided by the clients. 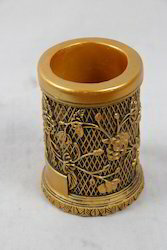 These pen holders offered by us are the wonderful combination of chic and sophistication looks. 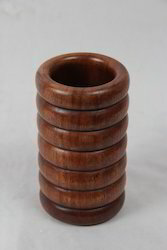 We hold expertise in providing a superior quality Fibre Round Pen Holder. Keeping in mind the current market trends, these holders are designed using superior quality raw material and advanced tools at vendor's base. 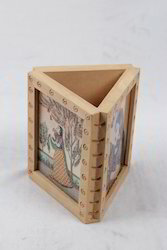 Moreover, we offer these holders in different specifications to fulfill the variegated requirements of our clients. 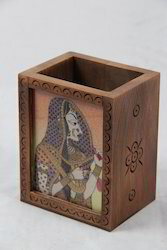 Looking for Pen Holders ?